Let’s not be delusional, the summer holidays can be hard work, especially if the weather gods aren’t on our side and the kids are stuck inside while we have to get on with dinner prep or the housework. There’s help on the horizon though. I’m super excited to let you know that I’ve teamed up with House of Fraser to give you the chance to win some peace and quiet. 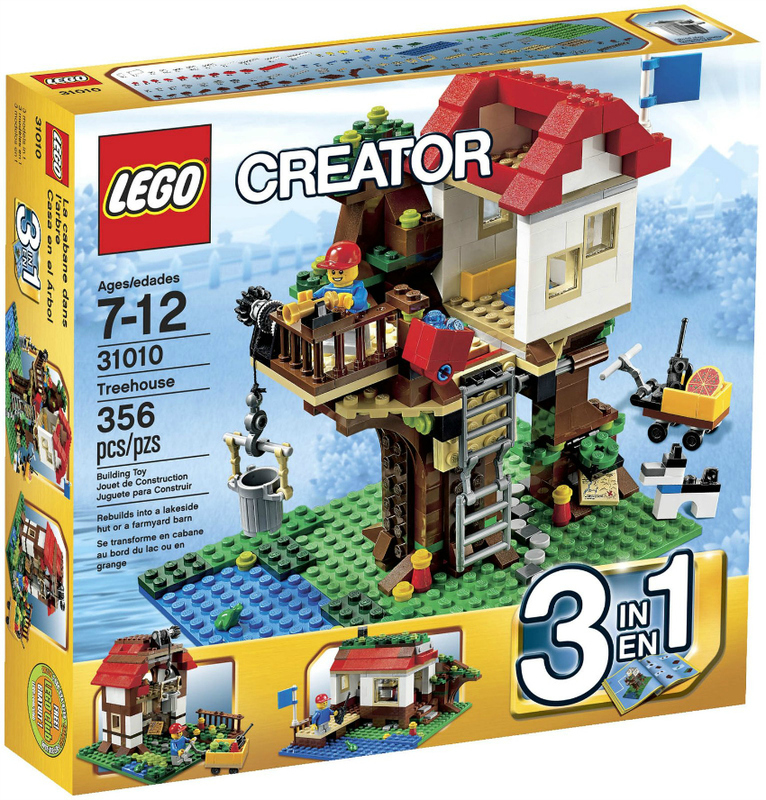 Well not literally peace and quiet, but one of two fantastic LEGO sets which basically mean happy children that will let you get on with your stuff when you absolutely have to. The guys from House of Fraser have a huge selection of building blocks and construction toys and I love those to keep the kids entertained when it’s rainy as they aren’t just a fun way to pass a couple of hours but also educational. Construction toys help your child develop gross and fine motor skills, improve their hand-eye coordination and allow them to build and design following instructions or their imagination. They learn about sizes, shapes and colours and practice maths, science and physics skills while experimenting with weight and balance or matching bricks. If your little ones are mad about LEGO, today might be your lucky day. 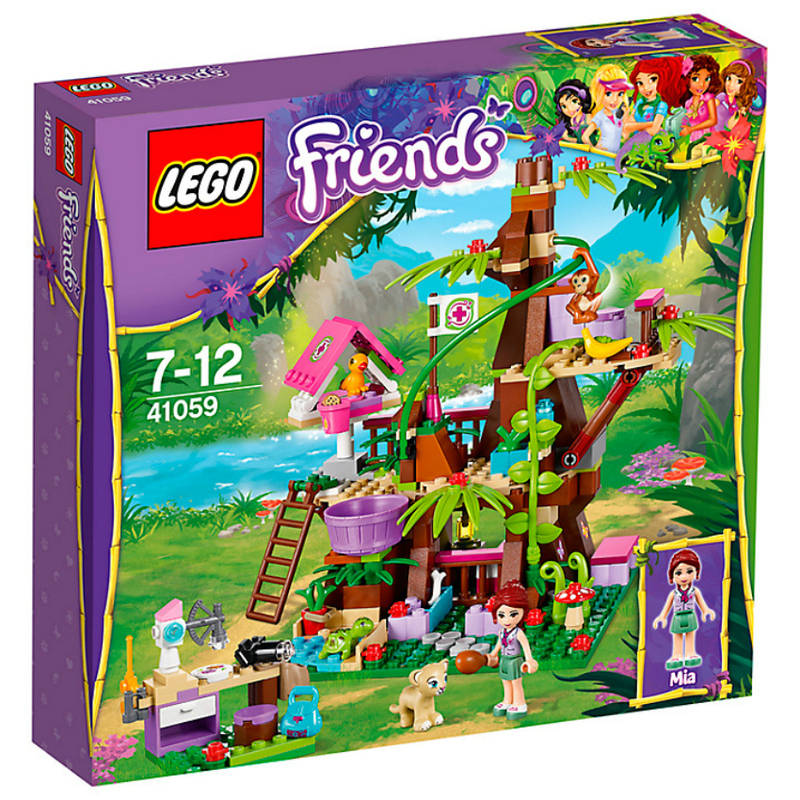 One reader of Mummy Alarm will be the lucky one to win either the Lego Jungle Tree Sanctuary or the Lego Treehouse. All you have to do to enter is fill in the Rafflecopter form below following the instructions provided. Please, make sure to follow these accordingly as faulty or missing entries won’t be counted and might lead to you missing out. Good luck! I can’t remember having an actual set, I can only remember having a big box of lego pieces and we used to build whatever our imaginations took us! My son though really wants the Simpson house! I loved my ocean cafe, from the paradisa Lego range! We had a toy box full of bricks and used to build whatever our imagination could think of. We did have a really cool castle set and pirate lego. If I was well behaved as a child, instead of getting treated with sweets, I got to choose a Lego set. I was a very good child (ha!!) so had quite a few sets! My fave was a police station one complete with motorbikes that the Lego people could actually ride on! I never had any Lego as a child – oh my did miss out! I’ve made up for it since though as I made sure my son and now my grandson had loads so I could play with theirs. I don’t remember having any sets. I had random pieces with windows and doors so would usually build houses. I don’t think I had a set, just a big box of bricks, wheels & windows! I only had ordinary blocks, very dull compared to today’s lego sets! I cannot remember having any sets – all I remember is me an my brother shared a huge yellow bucket full of Lego and we would tip it out on the floor and build houses, spaceships, boats etc. Lego pirate fort! Was the only proper set we had and I loved it! We never had sets when I was younger. We just had the bricks and used our imagination to make things. Only remember a big tub of Lego full of bricks, bases, doors, windows and wheels. Cue house, car/lorry/boat building. i even used it to build walls when playing with my farm set to make fields for my animals. lol 🙂 2nd post as not sure if first comment posted, sorry! I didn’t have any Lego, it was always seen as a “boys” toy. I’m making up for it now though! We had a 1980s Lego house, I still recall my fingers aching after building it with my dad! I don’t think there were sets when I was a child. I enjoyed building my own creations from the regular bricks. I too had big buckets of Lego, that we would just build stuff with. I always wanted the Star Wars sets but was a deprived child. Haha. I don’t think I had a set….I just remember having a lot of blocks of different shapes, colours and sizes! me & my brother spend hours making a huge pirate ship, it looked fab! I didn’t have a set just lots of lego, loved being creative. The Space series of sets and the Pirate Ship were my youngest son’s favourite. Now my grandchildren love Lego too. I really cant remember that far back! We had lots of knight ones! I loved lego as a child and my favourite set was a star wars set. I don’t remember them being in sets! We just used to build random stuff! I never had a set but remember that I loved using the red roof bricks to help finish off my houses. I don’t remember there being sets when I was young,we had a box of lego though that we could build anything with. I am too old to remember set types. I do remember having Lego at school and i loved it…and sticklebricks as well! I had a Legp ambulance which I loved. I had a huge set of original Star wars Lego … if only I’d kept it, I’d be rich!!! Back then not many sets around but do seem to remember a fire station. we didnt have sets just tubs of lego. I didn’t have a set (not sure that they did them), I just had a big bucket of lego that I shared with my brother. I don’t remember having a set but we had lots of pieces and made things up. I don’t really remember the set I had because I got ‘hand me down’ Lego and toys from my family members. But I do remember playing with some pieces from a Star Wars set. I had a set with some flowers and a fox figure and I loved building houses for him. We just had loads of lego, as far I knew at the time, they didn’t make ‘sets’ back in the 80s! My brother had a huge medieval castle that could be built in two ways, with loads of knights and horses to populate it (he still has the whole set and instructions for his little boy now!) and we used to spend hours building and playing with it. I am still jealous now that it was his and not mine- thank fully in our house it isn’t assumed that Lego should only be given to ‘boys’ and my daughter has her own collection! i would love lego friends for my daughter, shes lego mad! We never had full sets as kids but my brother and i had hand me down mixed LEGO that we made into everything! We didn’t have a set, just a huge bag full that used to be my mums when she was a kid! My brother’s pirate island, it had a castle with a dungeon…it was ace….and not a pink block in sight! I had a huge red container with masses of jumbled pieces. My Mam recently found it in her loft, washed all the pieces and it’s being used by my son. I just had a set of bricks to make buildings & stuff. I remember waking up one Christmas morning and finding under the tree, not just any old lego set, but an AIRPORT set. It was FANTASTIC. Brings back so many happy memories. Will climb up in the loft this afternoon and see if I can find it. I remember only having a big, big box of different sized pieces, but I did love putting wheels on things I built. I never had a proper lego set but did have a hand me down tin full of lego bits from my brother! I don’t recall a favorite set but I was obsessed with building houses & loved using the special roof blocks! I used to play with my brother’s police LEGO set! I remember having a white toy aeroplane – quite basic compared to today’s stuff! We didn’t have sets – in my day it was just bricks & you let your imagination run riot. We used to make mazes for our hamsters! When I was a child I don’t think you got sets! I’m too old for that, lol! Just plain blocks- still good fun though. And still hurt if you stood on them. my brother had a spaceship kind of set (blue and grey) which i enjoyed playing with too. Standard lego pieces. I created my own model designs. I didnt have a specific set just a lot of bricks! You couldn’t buy sets when I was a child like you can now but you could buy the sets of bricks so the bigger the set, the better bricks you had. I didn’t have any but I liked to play with my cousin with her Winnie the Pooh Duplo set and build houses together. We never brought particular sets. We just brought tubs of Lego and made out own models. Possibly showing my age but we didn’t really have sets- we had a huge box (thinking about it I think it was a hot water tank!) which was filled with bricks, bases, doors, windows and wheels. I remember building lots of houses. Fortunately my kids have better imaginations than me and build all sorts of interesting things! I had a BIG box of lego passed down from my brothers LOL!!!! I used to love building houses and barns for my farm animals! Lego is very popular and has been around for as long as i can remember haha. We didn’t have a set, we just had bricks and would make our own fun from that. Never really had sets as such, just a big tub of coloured bricks and some imagination! Having said that…. I faintly remember having a pirate ship, part of me thinks that was lego. Wow, takes me back! Lego wasn’t available when I was young, but I love playing with my grandsons sets. I had a Lego Technics Dumptruck, which I loved. It had a pneumatic mechanism which was used to scoop things up. It was great. the set we had was our imagination, my brother had lots of sets, but it always ended up in one big box!! I didn’t have any sets just a load of bricks. All I had was a big red bucket tub of bricks. There is so much choice now! We just had a big jumbled up box of bits & used our imagination. We made castles, cars, space ships. You name it, we built it! We had the `big box of bricks` but no actual sets from what i can recall. I had some space Lego I loved. Wish I still had it! I had a fab monorail that I built a little town around, loved it. I never had a set, I used to have giant tins filled with random lego and used to build houses and little villages!!!!! I loved the Duplo Zoo set and I still have it now. I just remember having a massive box of the bricks! We had a big box of mixed Lego and used to build houses with it. Never really collected the sets. I never had a set, I just had a huge bucket of different pieces that could be used to make loads of things! We didn’t have sets when we were little, we just had a huge box of random blocks. Was great fun and you could let your imagination go wild. can’t remember what my sets consisted of but i used to love that the boxes back in those days, you could lift the lid and view all the pieces in the box through a clear plastic sheet. I can’t remember having lego haha! I had a firestation lego set that I played with a lot with my bro. Fab giveaway! Didn’t have a specific set, big box of Lego that we used but I remember having some pieces that you could use to make a house including things live kitchen equipment! At the age of *coughs discreetly to mask the horror of the number* we didn’t have particular sets of Lego, but I do remember we had the bases and lots of bits of lego so my brother and I just built houses and spaceships and things using standard lego, its very different now for my son, he loves Star Wars lego…. my feet do not!! I don;t know what the set was called, but it was a huge pirate ship. I remember it took me ages to build and I had a few pieces left over! There wasn’t any Lego when I grew up but I remember starting my children off with Duplo, the first set being The farm and then I bought bags of Lego at car boot sales and put all the pieces in a big storage tub which at 34 years old my son still has. His favourite sets which I bought him were the Harry Potter sets and these now are awaiting his daughter and expected baby but a ‘girlie’ set which I class both of these are now needed until she is old enough to watch the filma and read the Harry Potters. The houses, mix and match, hours of fun! I didn’t have Lego when I was a child; but I love it now because I can buy it for myself! I love the Friends sets, but my favourite is my little Lego Campervan. It’s gorgeous! the plain old bricks when I was small! I had a mountain of Lego when I was a child (well it seemed like it at the time, but I was smaller back then). Mostly I just built whatever I felt like, without worrying about what actual sets the pieces came from. But I did have a lego train set which I remember being very keen on. That one stayed in one piece more than most. I had a mixed big box of Lego when I was younger. I remember it had flowers in it and I really used to love making a house & garden and pretending I would live in that house when I grew up. I didn’t have any sets as a kid, although I did have a LOT of lego bricks! We just liked making houses! I’m not sure we ever had sets, but we had 2 massive lego boxes that we spent hours playing with! I can’t remember having any lego to be honest! We had Stickle Bricks instead, but I always loved playing with my next door neighbour’s lego. We had a train which actually moved! You could design it in various different ways. I loved that. the aquanauts and aquasharks… amazing! We didn’t have Lego ‘sets’ when we were children, it was just a large suitcase full of various Lego, where it came from, I have no idea! My lego was all mixed up, I don’t remember having sets. My kids love classic too but they also love their sets. I love the fact I have a boy and a girl and I can get to see them build girly and boy things. Although they both happily play with each others. I loved the pirate ship! I just had general bricks, not a specific set. I used to love building houses with gardens round them. I didn’t have a set as such, just a great big box of Lego pieces 🙂 We used to have hours of fun building things with them though! I just had a big box of bricks !!! I didn’t have a favourite I just love it all. Favourite LEGO set has to be the pirates one! the 3 emergency vehicle set…….. very high tech back in the day!!!! I just liked to play with boxes of bricks and use my imagination! I remember a pirates set I used to have but also a big box of lego for building anything. We didn’t have sets as such back in the olden days (the 70s!) We just had those green bases, different length bricks,door frames,window frames and if we were lucky,wheels! We built lots and lots of houses! The original set with the board and parts to build a house. I asked my husband this question he said a Lego space station. I don’t remember having particular sets. I just played with the blocks. I can’t remember actual sets but I will never forget when mum bought me a HUGE box of lego from an auction at school. I used to try and build houses. I can’t remember. I recall having lego, but not specific sets. I don’t remember having a set as such but I used to have a HUGE boxful that I would make houses with EVERY time! No set really, just various bricks we made houses out of usually, with little windows and doors! I had a Lego hospital set that i used to spend hours making over and over,i loved it! A big bucket of mis-matched bricks that provided hours of fun! i had a big box of random pieces which i used to make houses! I don’t remember having a specific set but we had a massive box full of all shapes and sizes and we used to sit all day and make cities and vehicles and various things, was so much fun! I had what is now called the Classic Lego, which was just a mixture and you built your own from imagination. My children have this now and love building all sorts of things, but my eldest is getting into the sets as she’s able to (&likes) following the instructions. I don’t remember us having specific sets, we just had a massive plastic box full of all different kinds of Lego, there were pieces of all shapes and sizes in there and we used to play for days on end building cities and vehicle etc, it was brilliant! Slave 1, a star wars spaceship ! I mainly had boxes and boxes of lego. I remember getting a little pirate set with palm trees and gold coins when I went to Lego land in the Denmark when I was 6. Classic Lego – the excitement when some bricks had holes in and included wheels and axles, weird and wonderful vehicles followed. I just had a big box of random pieces which I used however my husband loved lego Atlantis. I am not sure they had sets when I was a kid…I just remember playing with a big box of Lego, building houses for my dolls etc..
Not sure if there were sets when I was little ….. long time ago! We just had a HUGE box of Lego pieces and bases – my favourite was to make houses. Now my daughter is into Lego too, particularly Lego Friends. Did it come in sets then? I just remember normal bricks and some people, nothing like what my kids have now. I did not have any but my son loved building houses with his in the 1980s. Starship Explorer. It was a spaceship that separated into 3 parts & came with red, white & yellow spacemen minifigures. My younger brother started his love affair with Lego that Christmas day & ended up playing with the spaceship more than me. I remember how excited he got when Lego introduced a blue spaceman minifigure…he had to have it!!! My brother had an amazing holiday home, it had a mountain and swing bridge, we used to spend hours playing with it. I need to ask him if he still has it, i’m sure his nephew would love it! Didn’t have sets, just lots of loose lego which my brothers and I made into loads of things – still remember making a camper van! I didn’t have a particular set I had a large box of mixed Lego pieces. I just had the plain bricks which were the best as I could use my own imagination to build anything. I never had any actual LEGO sets when I was younger, actually a lot more into them now. (That might be because I can afford to buy my own now!). My fave I have now has to be my LEGO Harry Potter Hogwarts Castle set! Humongous to do and also a gift from my hubby! I had one with a house that you could put little flowers around. I can remember my neighbour helping me to make a cool helicopter! I used to have a basic house set which I used to make all sorts of things. Too long ago LOL. I think I just had a big random bucket of it!! i cant remember my lego having names but i did have alot of lego and would play for hours making my space world. I had a set which had windows and doors. I think it was a basic set, but i loved to build houses. I had a pirate ship set in the 90s. I did not own lego when I was a child. A fort, it was huge, still have it and my girls play with it now. We had a big square wooden box with little compartments for the different Lego bricks. I mainly used to build dream houses. I didn’t have a set. I had a huge box of pieces and my imagination. I was never allowed lego as a child but one of the first things I bought when I started working was a star wars lego set!! It wasn’t so much of a set, but it was a train & tracks which my brother set up to run between our bedrooms so we could send notes to each other when we were supposed to be asleep. My brother had A LOT of Lego which my son was going to have but it was in a storage unit which burnt down so we lost lots of classic Lego worth an estimated couple of thousand pounds. I only had the plain lego when I was little! I mostly played with plain lego when I was child. I didn’t have a favourite! I don’t remember having any sets as such… I mainly built houses and other buildings I think. My OH recently discovered all his childhood Lego in his parents’ loft – there were some pretty cool Space Lego sets in the 80s. We’ve had great fun building them all. Luckily his parents thought to keep the instructions too!